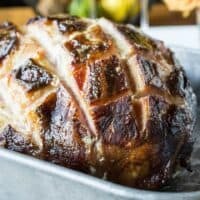 Want to make the perfect holiday ham for the holidays? 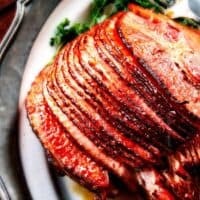 From slow cooker ham recipes to baked ham with raspberry glaze, these amazing ham recipes are perfect for your holiday dinner! I love the holidays! 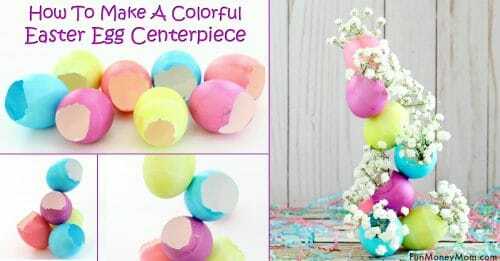 With Easter rolling around, we’ll be doing everything from Easter egg decorating to making delicious Easter cakes! Sometimes we even combine the eggs and treats into one, like we did with these Rice Krispie Easter Eggs. 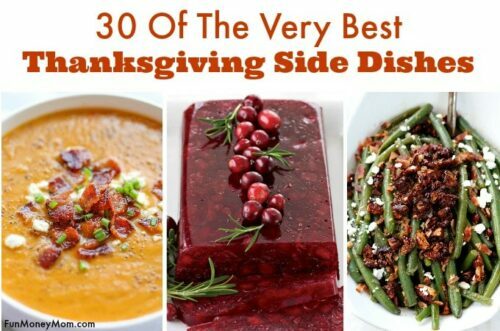 There’s also the holiday dinner, which is so much fun to plan. 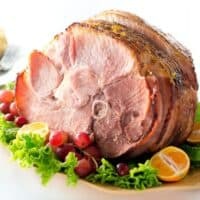 While I love trying different side dishes, one of our traditions is that we always have a holiday ham. 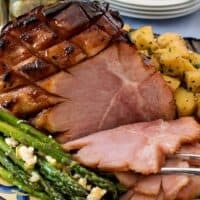 Luckily there are so many amazing ham recipes to choose from, we can still keep our tradition but change it up a little every year. The hard part is choosing a favorite! I’m kind of torn on what to make this year. 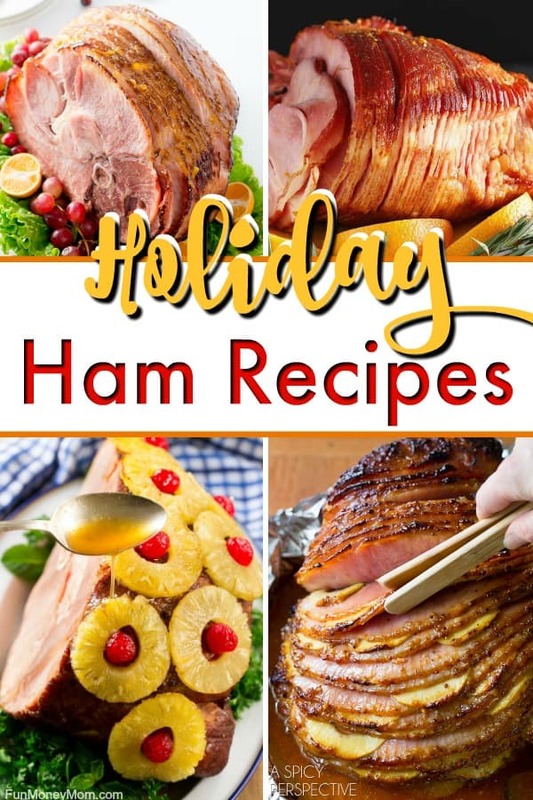 From honey glazed ham recipes to a pineapple ham that’s almost too pretty to eat, there are so many awesome holiday ham recipes to choose from. I want to try them all! 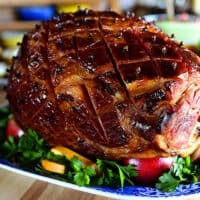 It may be hard to choose a favorite holiday ham from all these awesome recipes! 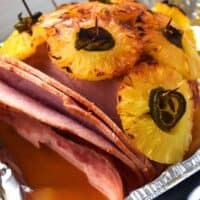 From honey glazed ham to a pineapple ham that's almost too pretty to eat, I want to try them all! Why did I never think to combine ham with raspberries? This sounds delish and I can't wait to try this Roasted Raspberry Ham! Honey mustard and ham are always a great combination. Throw in some bourbon and it's even better! Am I the only one that still doesn't have an instant pot? 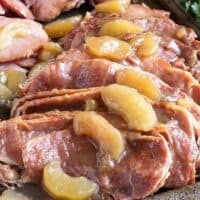 I may have to get one just so I can try this Apple Pie Ham! 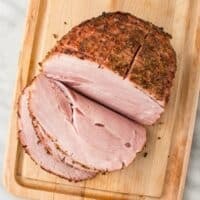 Instant Pot Honey Ham in 10 Minutes! In a hurry? 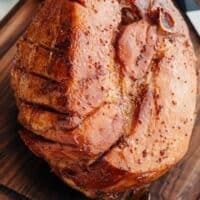 This honey ham recipe takes just 10 minutes to make. 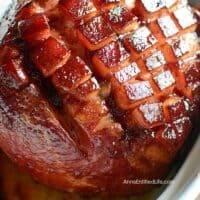 If you have a slow cooker, make the holidays easy by using it to make this Honey Glazed Ham for the holidays. 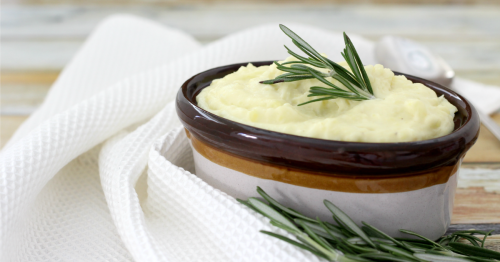 Here's another delicious slow cooker recipe for the holidays. 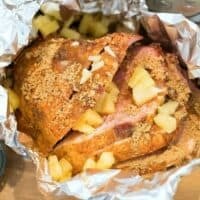 You can't go wrong with brown sugar pineapple ham, right? 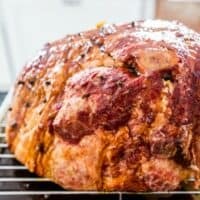 This four ingredient Easter ham really is easy like Sunday morning! 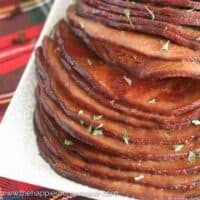 Want a healthy ham recipe for the holidays? This Citrus and Cranberry Ham is Weight Watchers approved. 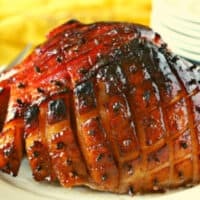 Want a twist on the traditional honey glazed ham? 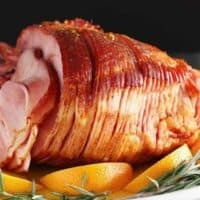 Why not try an Orange Dijon Glazed Ham this year. 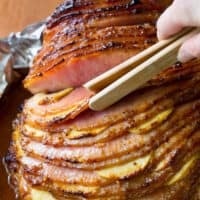 This awesome ham recipe even comes with baked apples on the side...how delish does that sound?! 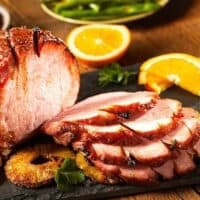 This ham with citrus glaze makes a great choice for the holidays. You know if the Pioneer Woman makes an Easter ham, it's gonna be good! I love drinking apple cider but I may have to save a little for my ham next time. 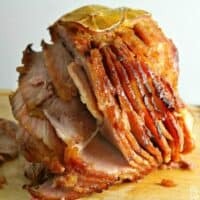 I'm still deciding which ham I want to try this year but this Orange Marmalade Ginger Ham is at the top of the list. 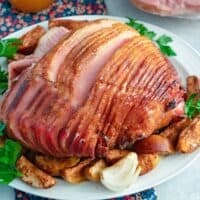 This holiday ham recipe has a little bit of everything but sounds like it's totally worth the work. Who knew that so many people made hams with bourbon? Now they've got me curious and this is another one that's on my list of ham recipes to try. 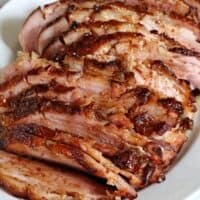 I don't drink a lot of Dr. Pepper but I do want to try this Dr. Pepper Glazed Ham! 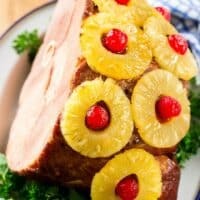 This pineapple ham recipe with cherries looks almost too pretty to eat! 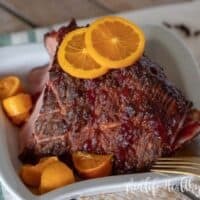 Orange and Honey make for a pretty sweet ham recipe! 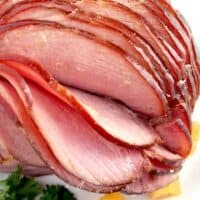 Are you totally craving ham now? Which one of these holiday hams would you make for the holidays? What a fantastic collection of recipes! I may have to make a few hams as they all look so delicious. I love ham year round so that won’t be a problem. 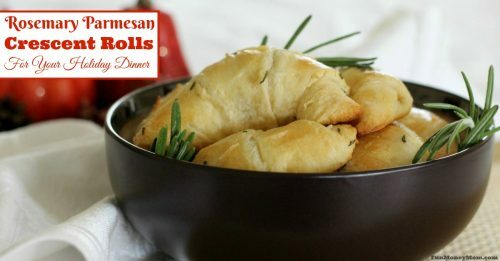 Thank you for including my slow cooker recipe! Of course! Thanks for making such a delicious recipe!! !